I was very busy today too. I took off from this afternoon. 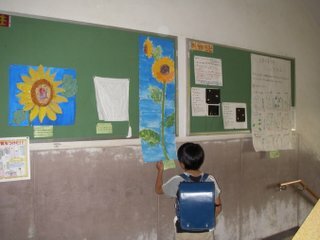 I went to my older son’s school for opening school. Students were learning geography. Parents had a meeting with children’s teacher. I left school though the meeting didn’t finish. I arrived at my brother’s hospital. He was sick, he was a subarachnoid hemorrhage. Fortunately, he was very nice. I felt happy. I went to a acupuncture clinic near my house. After that, I felt good. We picked up my younger son from his preschool. My husband came back our home. Anyway, when I went to the clinic, I was very relaxed. But when I think about my jobs, I am depressed..